At Superior ENT you can expect comprehensive, patient-centered treatment for medical problems involving the ears, nose and throat. Our team of healthcare professionals is dedicated to providing clinical excellence and unsurpassed customer service. 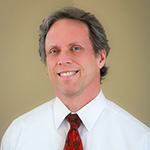 David Heichel, MD, is a board certified Otolaryngologist by the American Academy Otolaryngology/ Head and Neck Surgery. He has been practicing in the Upper Peninsula since 2004. Prior to that, he served in the United States Air Force retiring after 20 years of service. He provides care in all aspects of ear, nose and throat clinical and surgical management of disease effecting ENT patients. He is also a member of the American Academy of Otolaryngic Allergy experienced in advanced allergy management. 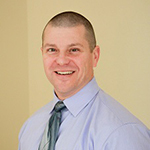 Chris Lunseth, PA-C is certified by the National Commission on the Certification of Physician Assistants. Chris earned his Bachelor of Science degree at St Olaf College of Northfield, Minnesota and worked as a Paramedic in Marshfield, Wisconsin prior to graduating from the University of Wisconsin-Madison Physician Assistant Program in 2001. After graduation he moved to Marquette to work in both Urgent Care and Emergency Medicine. Chris joined our practice in 2010 and works full-time providing coverage to patients in the Upper Peninsula. Chris enjoys outdoor sports and spending time with his wife and two daughters. 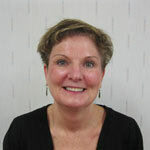 Patricia A. Hill FNP-BC has been a specialty Registered Nurse for more than twenty-five years. Pat began her career as an Acute Care Nurse in Intensive Care, followed by rotations in Hemodialysis and Endoscopy. She received a Bachelor of Science in Nursing, and a Master of Science in Nursing from Northern Michigan University. 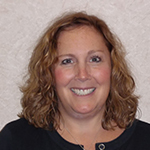 Pat is currently Board Certified as a Family Nurse Practitioner by the American Nurses Credentialing Center. She has practiced exclusively in the Upper Peninsula of Michigan in the Specialty of Otolaryngology and Allergy, and is an active member of the American Academy of Otolaryngic Allergy. Pat holds a Bachelor of Arts Degree in Education from Central Michigan University, as well as Post Graduate Certification in Continuing Education from Saginaw Valley State University, University Center Michigan. Matt K. Brandow AuD., CCC-A, FAAA earned his credentials in Audiology through Central Michigan University and Vanderbilt University of Nashville, Tennessee. Matt completed his clinical doctorate in Audiology in 2004. His twenty years of audiology experience includes military service as Audiology Consultant and Hearing Conservationist for the United States Army Eighth Army Division in Seoul, Korea as an Audiology Consultant and Hearing Conservationist. 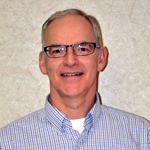 He has also served in recent years as adjunct faculty to Northern Michigan University, Marquette MI as an instructor and guest presenter on the topic of Rehabilitation Audiology. Matt continues to pursue his interests in audiology through participation in regional professional organizations such as the Michigan Academy of Audiology, American Academy of Audiology ,the American Speech Language and Hearing Association and through continuing education. Jackie Gilbert, MS, CCC-A earned her Bachelor of Science degree at Western Michigan University in 1989, and her Master of Science degree at Gallaudet University of Washington, DC in 1991. Following that, Jackie worked at Henry Ford Hospital in Detroit for 2 years prior to relocating to Marquette where she worked for 20 years at Marquette General Hospital. Jackie joined our practice in October of 2012. She enjoys spending time with her husband and two children (most of the time), as well as cooking, reading, walking and gardening.